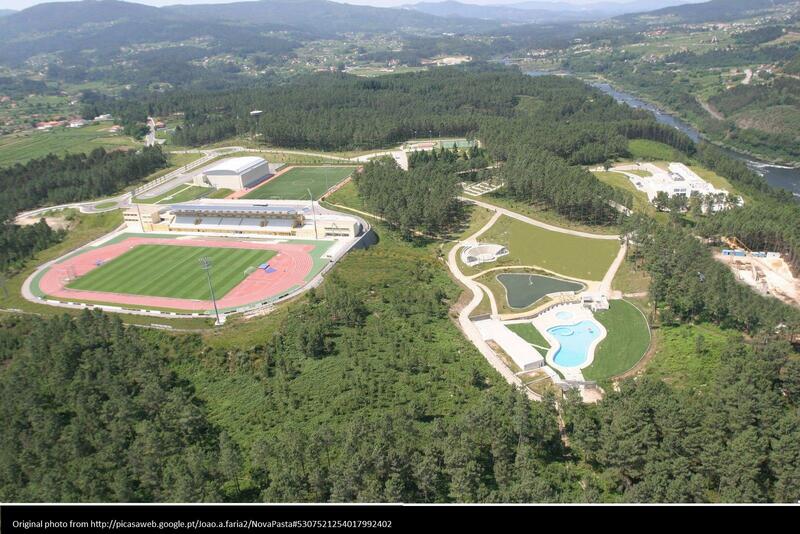 The Melgaço Sports and Leisure Complex was inaugurated in the end of 2001. It features areas for professional sports training (stadium, synthetic field, indoor sports arena, athletics track, and tennis courts) and also for relaxation during holidays (children’s playground, hotel, youth hostel, minigolf, swimming-pool, SPA). It is an excellent place for training because of its quiet location in the middle of nature, with pinewood forest and the Minho River surrounding it. It was one of the official training centers of the UEFA Euro 2004.